Hi, everyone! My name is Joanna Go and I’m Owner and Creative Director of fashion, style, and beauty blog, CutandChicVintage. As a blogger, I’m constantly on the lookout for style that inspires. 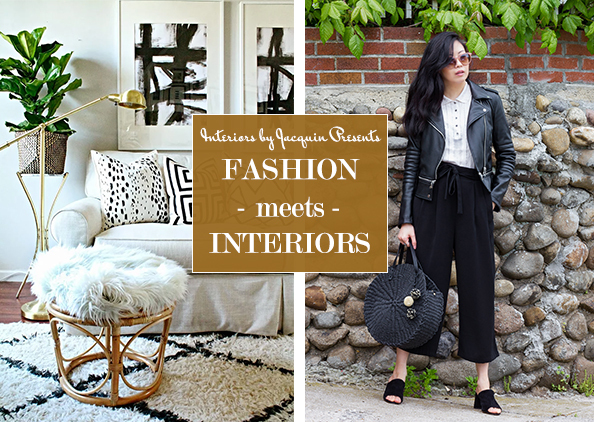 I believe style inspiration can come from anywhere—from art to interior design, which is why I’m thrilled to style another look for Jacquin’s Fashion Meets Interiors series. The space that I chose is similar to how I’ve decorated my own place. It’s modern, minimal, yet warm. This room has an effortlessly chic quality about it that I often go for in my own wardrobe. Although I’m a minimalist at heart, I’m all for incorporating bold, one of a kind statement pieces for that extra bit of “wow!”, just like with the bold abstract paintings featured in black (see interior design photo below). 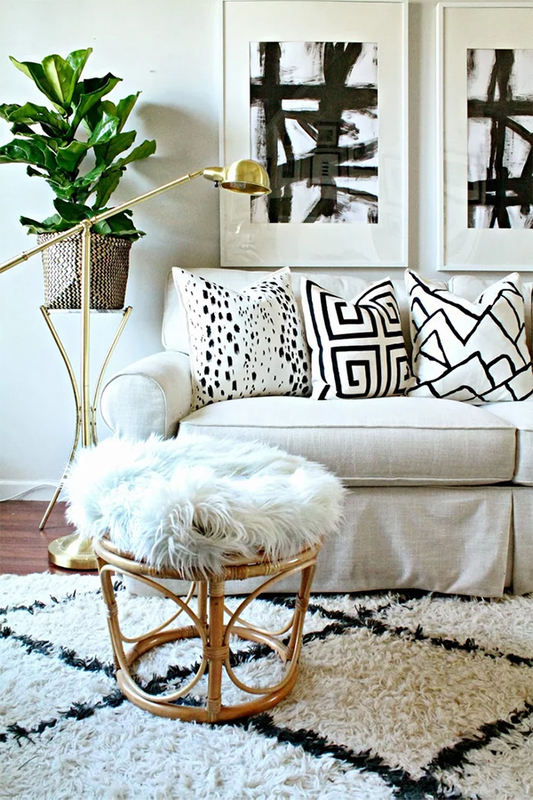 At first glance, I immediately connected with the room’s neutral color palette of black and nudes but, what I love most about this room is its details. Some may say that minimalism has a reputation of being monotonous, or cold and uninviting. However, the trick to pulling off a minimalist look that truly stands out is adding an interesting focal point. There’s nothing like a unique bag or a fab pair of shoes to breathe new life into any outfit. With summer on it’s way when I selected this outfit, I couldn’t help but dream of exotic getaways and holidays by the beach. That was what attracted me to the natural textures in this room and I wanted to incorporate that into my outfit as well. When I saw this woven bag at ZARA, I knew it was the perfect accessory I can use all summer long. It’s so chic and versatile that I can take it from work to play in no time flat. Having a little fun with black clothes & accessories can be a nice change of pace in the summer! Hope you found some inspiration in my look! 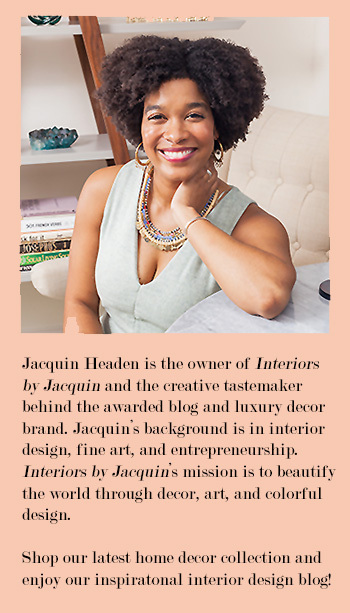 A big thank you to Jacquin for inviting me back to her blog. I had such a blast styling my outfit for this Fashion Meets Interiors series. You can check out my previous Fashion Meets Interiors feature here and visit my blog CutandChicVintage for more fashion inspiration.